I have a number of reports, and dashboards, that I have to manually update every month because I’m using them to show YOY… So each month, I have to manually amend the ‘Date/Period’ to the correct timeframe. It is pain-staking and annoying. 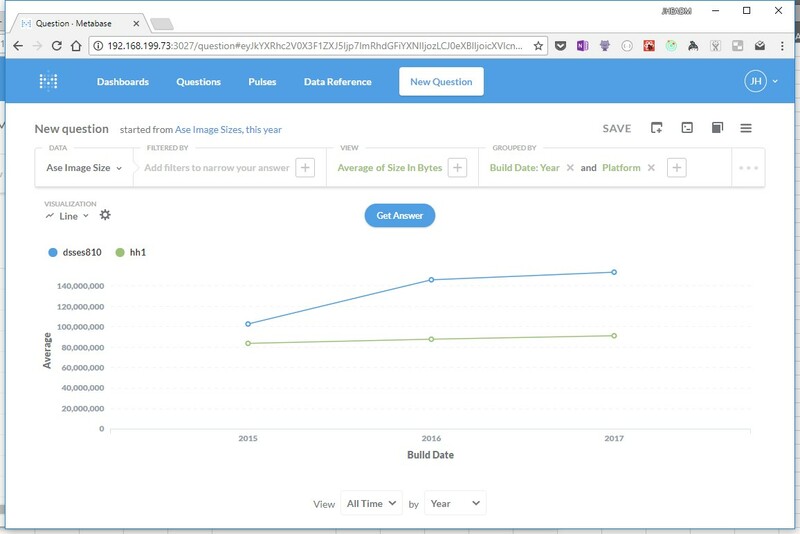 Is there any way at all that Metabase can look at the time & date and just update it accordingly - e.g. provide the ability for direct YOY comparisons based on the system date? 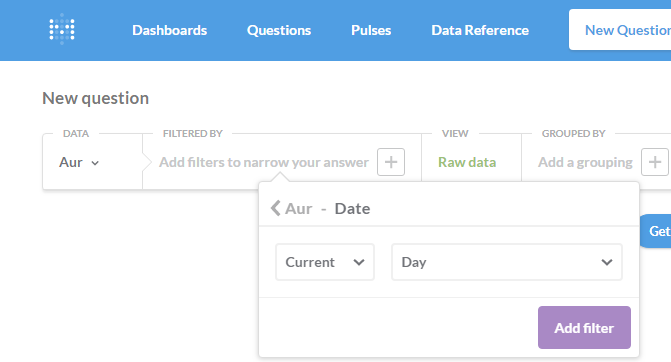 Question: Do you have two date fields listed in your filters? Then you could set those filters via URL parameters and navigate directly to that. No, because date fields are hard coded aren’t they from my filter. So, in my report my data is filtered by a full date using the ‘between’, so e.g. between 01/01/18 and - I have to manually go in and amend the filter each month to update to todays actual date. I’d have thought there would be someway that Metabase can just do that automatically. I should add I’m writing this as a custom question, not a SQL script. Alright, so you want a rolling date range? Does the from date always stay as 01/01/18 and then you use the last day of January and then need to reset when you’re ready to see February? Absolutely - I need the ‘end date’ to be a rolling data. The ‘from’, as you rightly ask, will always be fixed to the calendar year or financial year potentially… The ‘end date’ I want to be a rolling date that is ideally. Are your date fields actual dates in the database? Yeah, our dates are fields in the filter. If I enter just ‘current day’ then it only gives me results/sales that were booked that . You mention you want to do YoY comparissions and you currently use a filter with “between”. I think with that you’re right. To help us help you can you express what time ranges you want to compare? Is it “this calendar year to date - versus last calendar year until today’s-date-last-year” … or something different? edit - if you pick current year (instead of current day in the screenshot @dkorinke shared above) then you have it dynamic for “this year”. The it’s just whatever you want to compare with that we miss to make dynamic. So, in a nutshell, I have a number of charts that show the quantity of software licences sold. I am looking to measure them on a calendar year on year basis… E.G. From Jan 1 to over the last ‘y’ years (usually I measure from 2015-2018). I’ve just noticed the ‘current year’ thats good, it gives me this year - it just leaves a gap on the ability to pick the same date range for previous years that I want, as you point out. I’d have thought this has a lot of appeal to other people as a feature enhancement maybe? Ah, OK I think I maybe got it then! It sound like instead of picking out the years individually you just want to Group By on your years and then maybe also on license types or whatever other dimension you want to slice your data.